Oktoberfest is the world's most famous beer festival which happens every year from mid or late September to early October and runs for 16 days. The principal festival is held in Munich Germany while other cities across the world also hold Oktoberfest celebrations that mix together fun carnival events with food and beer tents. Here are 8 beer do-it-yourself projects that would be perfect to try if hosting your own Oktoberfest celebration this year. 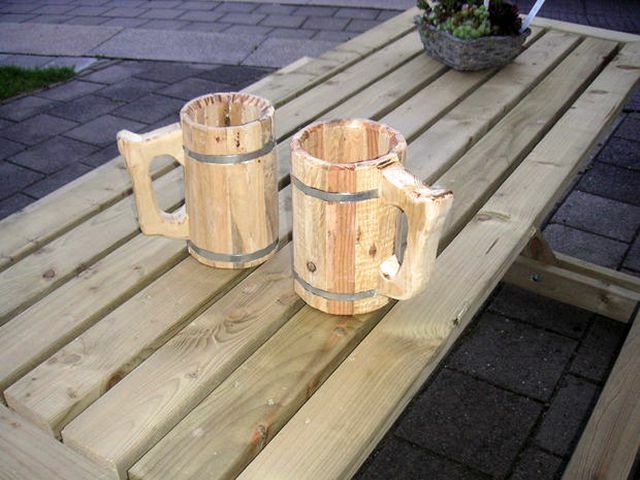 If you are going to be hosting an Oktoberfest party, these impressive traditional looking wooden beer steins would be the perfect way to decorate your home by having them on the table to collect empty beer bottle caps. Easily carry or gift several beer growlers in an industrial wooden tote with metal pipe handle. The growler tote filled with 3 growlers of beer would make for an amazing prize to win at your Oktoberfest party. Re-purpose an old scrabble board with missing tiles into a set of beer-inspired coasters where you can spell Oktoberfest-related words, such as hops, beer, ales, brew, malt, and cask. These fun coasters will help to not only protect your table, but are a fun, beer-themed decor to use year round. Make it easy for your guests to open their beer bottles by making a beer bottle opener you can hang on the wall that will open the beer bottle caps and collect the removed caps in the bin at the bottom. This DIY is perfect for the novice builder due to the simple design. 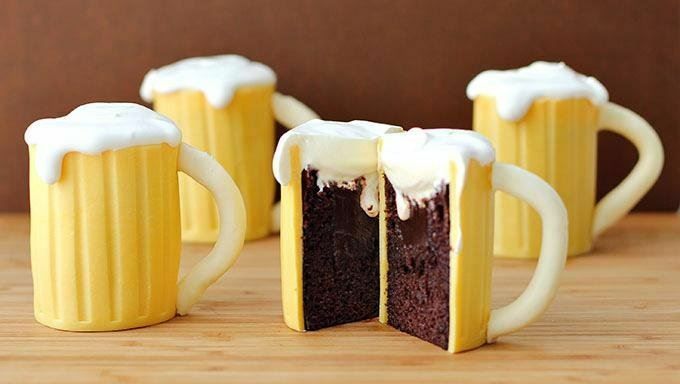 Surprise your Oktoberfest party guests by making a batch of beer mug cupcakes that look like pints of beer and are filled with Baileys. Love beer? If so, why not make yourself a personalize beer growler by etching your name onto the glass of a beer growler, so you can have a reusable beer bottle for Oktoberfest. German sausages are commonly eaten at Oktoberfest, and mustard is a common sauce served with them. So instead of the typical mustard, make your own delicious beer mustard to go with the sausages. Bottled in small bottles homemade beer mustard would also make a lovely party favor for guests to take home. Create your own custom beer labels for your Oktoberfest celebration by using the free printable labels that disguise the original labels so you can host a beer tasting party.